"Yarmouth K-9 Officer Sean Gannon’s police dog, Nero, survived a surgery Friday for injuries he received in the Thursday shooting that killed Gannon, according to a Facebook post from the Yarmouth Police Department. Peter McClelland, a retired Yarmouth police officer who served in the K-9 unit, was with Nero throughout the night, according to the hospital’s post." 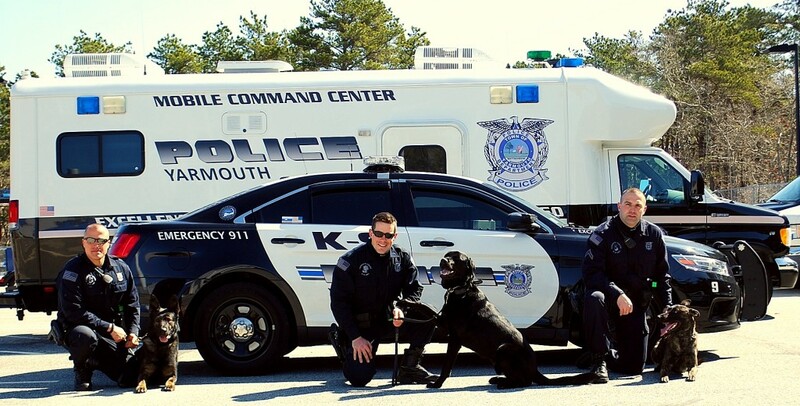 "The Yarmouth Police Canine Unit was the first established canine unit on Cape Cod and originally deployed three canine teams"